From a young age, saving for retirement has been ingrained in us. The moment we start working, it is expected that as responsible adults, we should start contributing towards our retirement savings. This is for good reason. While we may live in a country where we pay high taxes, we still do not have a large social safety net, as is the norm in Scandinavia and many other European countries. This means that you need to make personal financial provision for your retirement years: something which takes decades of contribution and prudent investment to achieve. However, the market is flooded with financial products, and retirement saving is a long-term commitment - so you need to choose wisely. In a nutshell, saving for retirement is simple. Invest money every month for a few decades and let compound interest do the rest. If you invest for long enough and put away enough money every month, you might be able to retire using this model. However, as with most things, the devil is in the details. Life insurance companies have long dominated the retirement saving industry. Their offerings have included a wide variety of policy-style retirement products, replete with complex features and so-called benefits. Historically, these products have underperformed both the market and expectations of customers. The primary cause for this has been high investment and up-front commission fees. Following this, many customers have been gravely disappointed by the inflexibility in their retirement annuities, often being exposed to penalties ranging as high as 20% of their total fund values simply for decreasing their monthly contributions. These pain points led to a call for something better, and the answer was the unit trust retirement annuity, pioneered and championed by asset management firms rather than life insurance companies. This form of retirement annuity has competitive investment fees and no penalties, and benefits the investor more than the provider. 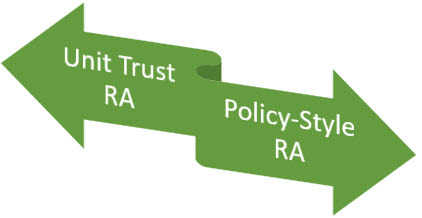 I differentiate all retirement annuities (RA’s) into two broad categories: policy-style and unit trust annuities. The basic acid test is this: can you stop, start, pause or change your retirement annuity without paying a penalty? If so, then you have a unit trust RA. If not, then you have a policy-style one. Should you currently have the latter structure, I would recommend that you consider switching your retirement into a unit trust RA. Sharenet Wealth can help you facilitate that switch, a change that can benefit you tremendously in the long term. My scepticism of policy-style RA’s is two-fold. Firstly, high fees eat into the real growth of your investment. The table below shows the impact that an added 1% of fees can have on your investment over a 35-year period. Secondly, the policy-style RA does not allow for the fact that life is not plain sailing. We have children, our cars break down and medical emergencies befall us. As such, committing to a monthly payment for 35 years, which offers you no flexibility and the threat of penalty should you miss a payment or wish to stop your contributions, is ridiculous. Yet thousands of South Africans are burdened with these policy-style RA’s, and many more continue to invest in them daily. For more information on our retirement annuity funds please contact us here. Should you wish to investigate whether your retirement annuity is the best product for you, please don’t hesitate to contact me for an obligation free consultation. 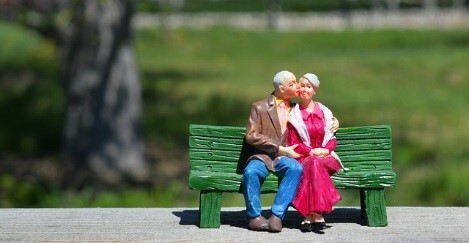 Life is too short for a bad quality retirement annuity. In the next instalment of this series, I will be discussing the tax benefits of a retirement annuity and how to maximize this opportunity.